Surrounded by the Nature Parcs of the Sierra Mariola, the Carrascal de la Font Rotja, the Sierra els Plans and la Serreta, Alcoi has overcome the peculiar local terrain furrowed by ravines. 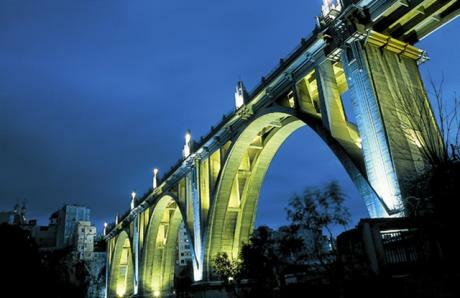 Known as the city of bridges, the municipality maintains, in spite of a high level of industrialisation, links with its past, mixed with efforts to prosper amid beautiful surroundings. Tradition weighs heavily in its festive representations, between which stand out the Moors and Christians celebrations, declared as being of International Interest. From Valencia, the access to the city is via the A-7, direction N-340 until Alcoy. From Alicante, the access is exactly the same one, taking the A-7 towards N-340 Alcoy.